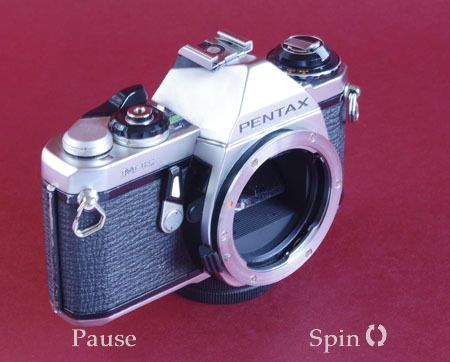 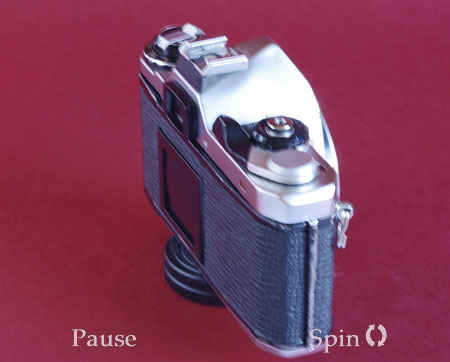 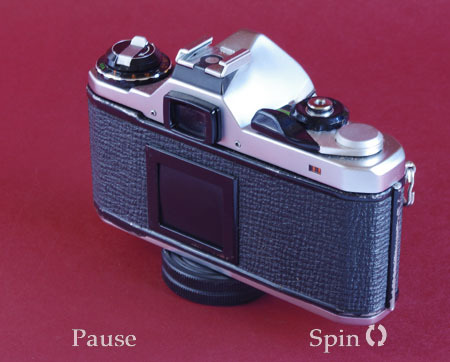 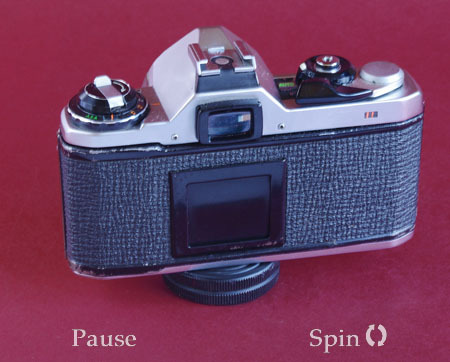 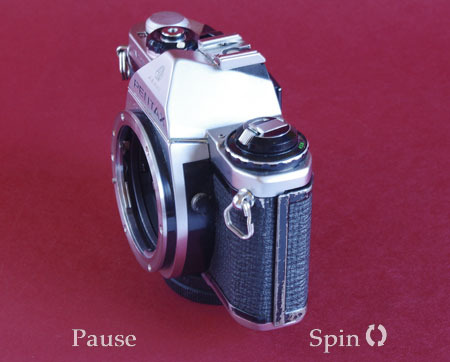 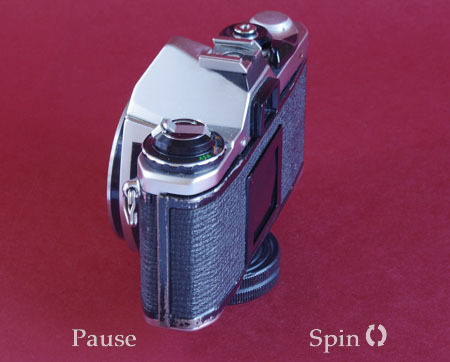 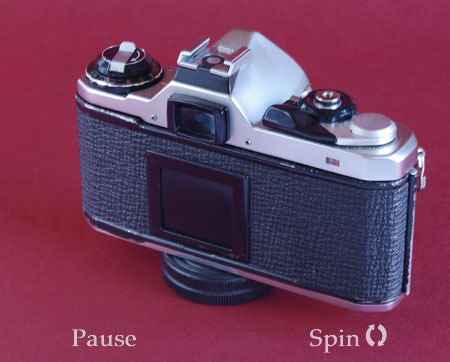 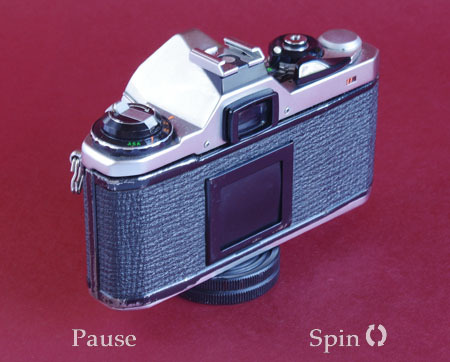 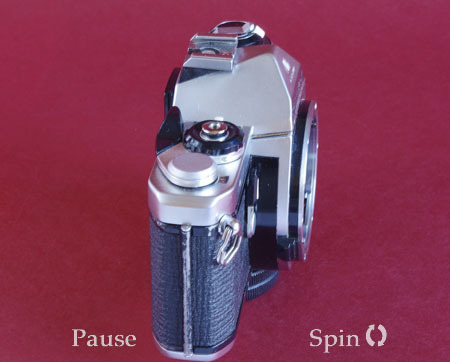 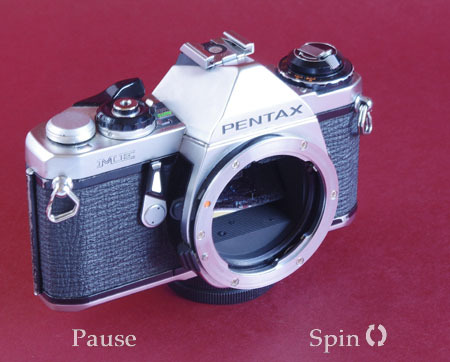 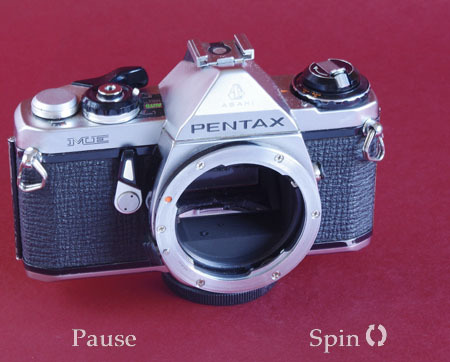 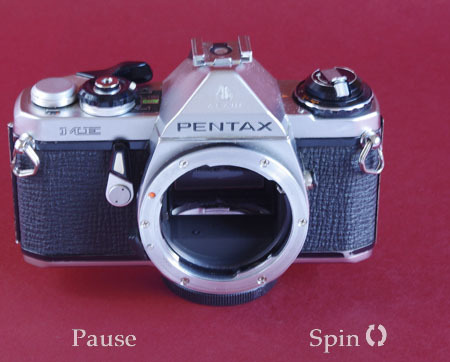 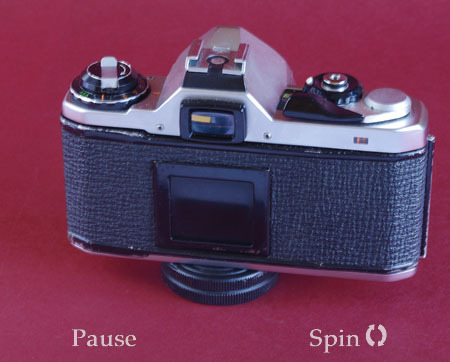 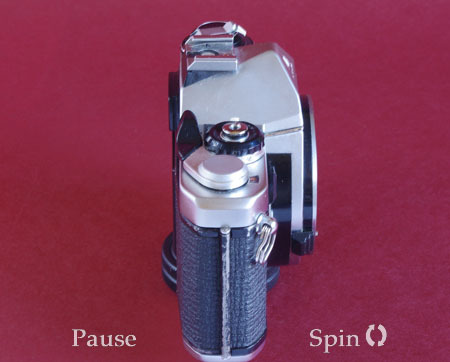 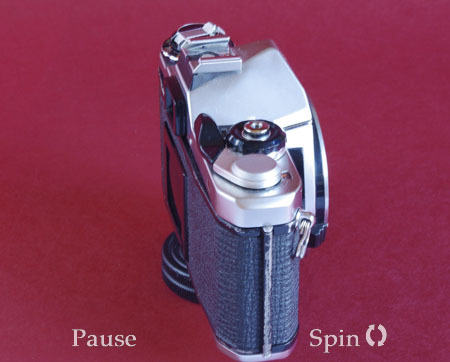 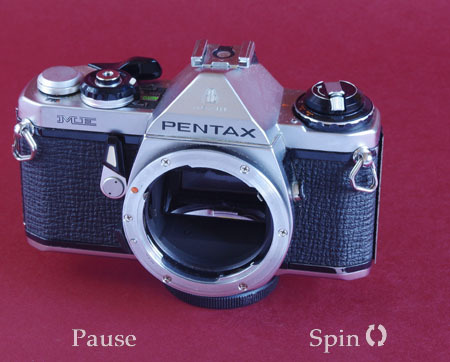 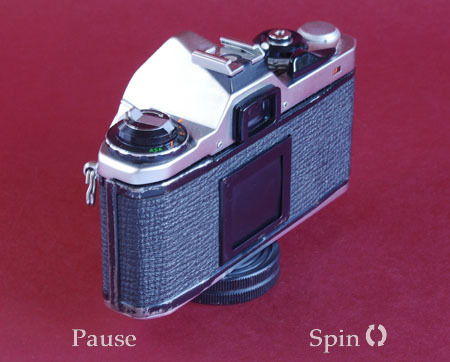 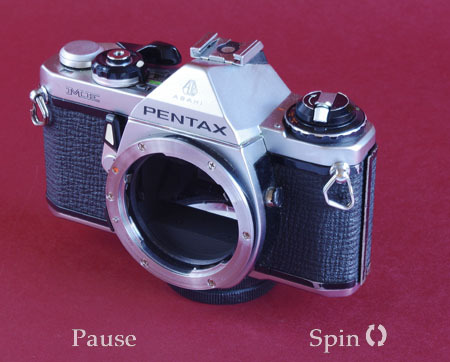 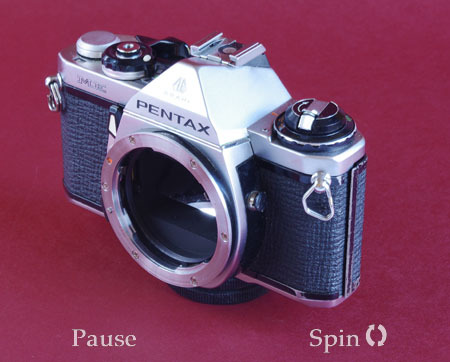 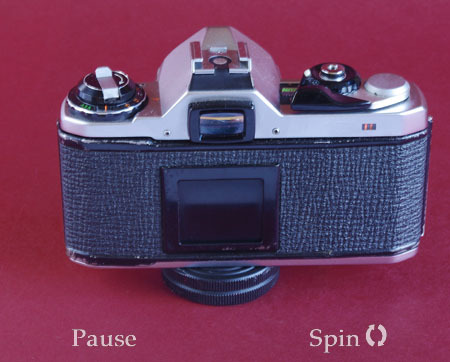 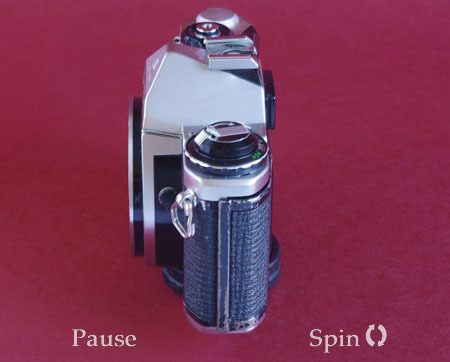 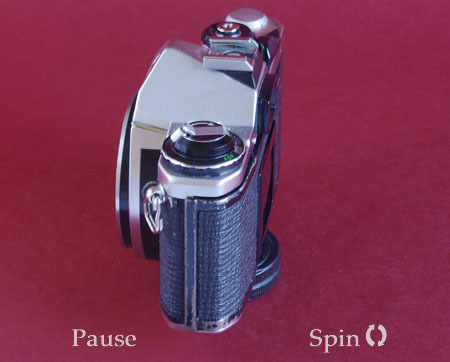 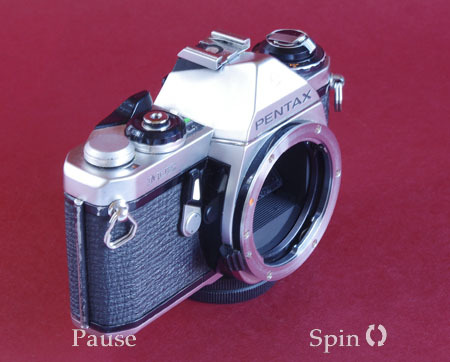 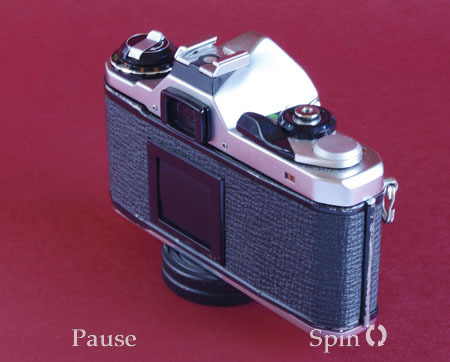 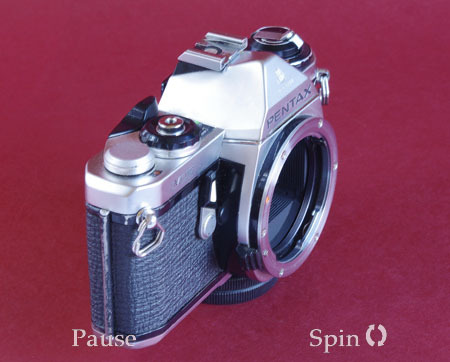 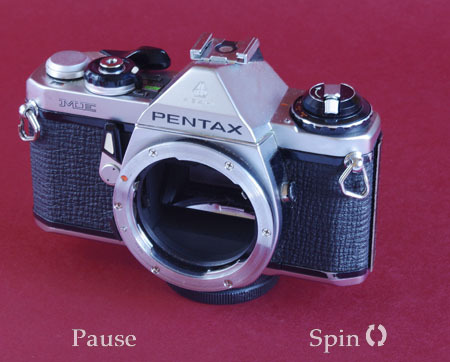 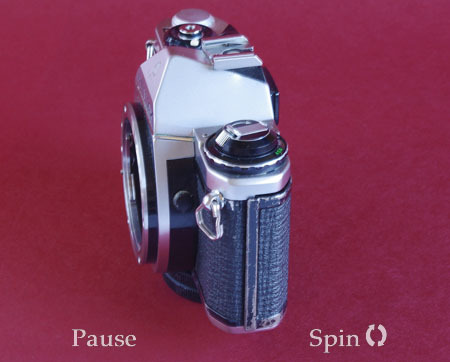 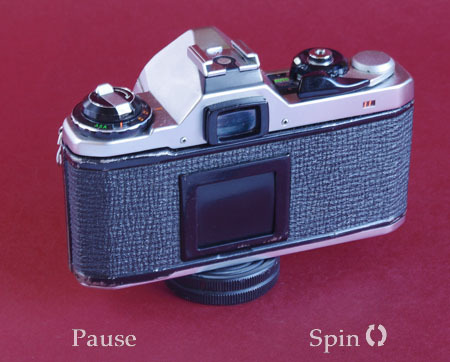 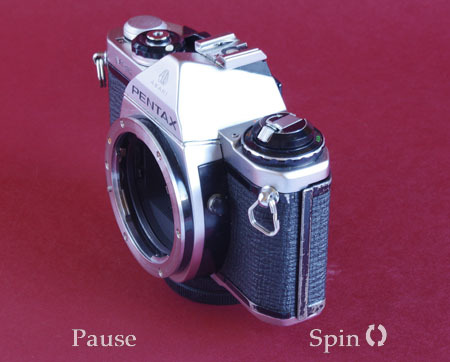 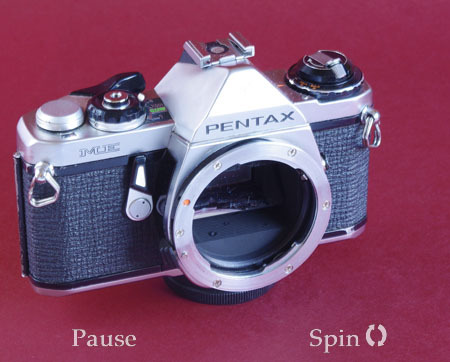 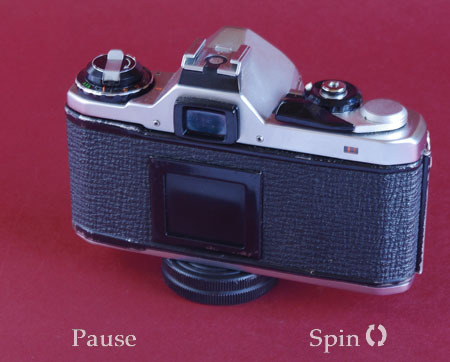 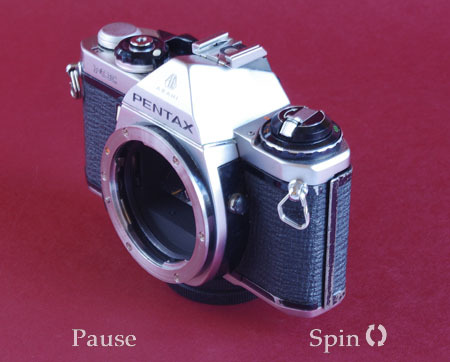 Asahi Pentax ME, vintage camera - all round view at 10° intervals. 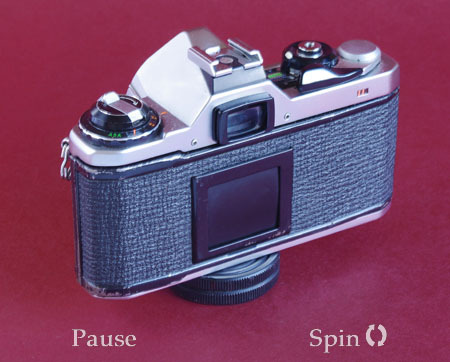 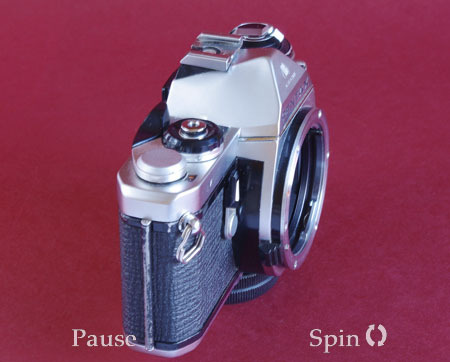 There's only so many pictures of SLRs spinning about before something has to give, so we have photographed the ME sans lens. 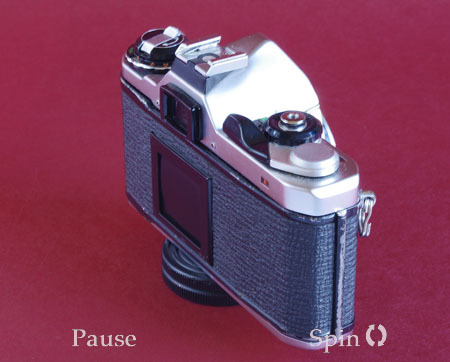 This does somewhat accentuate the slim lines of the ME, but it is a neat and compact camera by any standards.